For the HiFiBerry Digi, we tested different methods to drive the 75Ohm output: with and without output transformers. Output transformers are not used very often in consumer SPDIF outputs: they increase the costs of a device and many people do not care about it. Bad quality transformers may even make the output worse. But for HiFiBerry Digi, we want to use them – at least as an option. 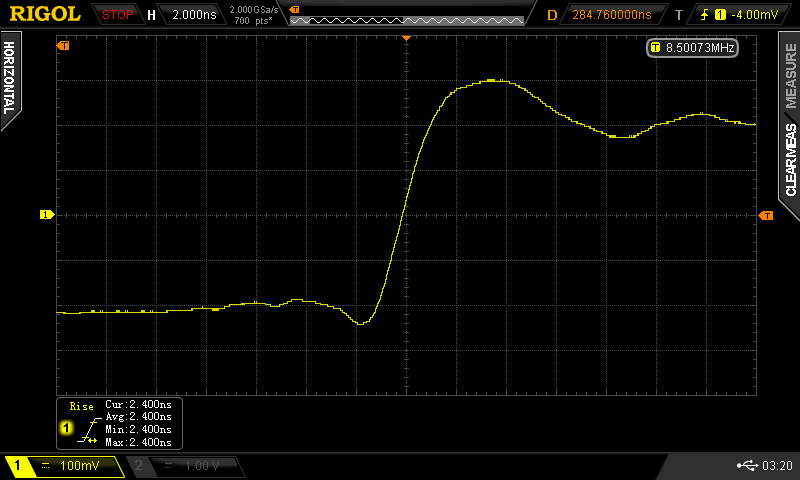 This shows signal quality of a 192kHz S/PDIF-output. The output is simply terminated by an 75 Ohm resistor. Even the simple, unshielded transformer (left picture) works ok. The jitter is much lower than our tests with optical links. 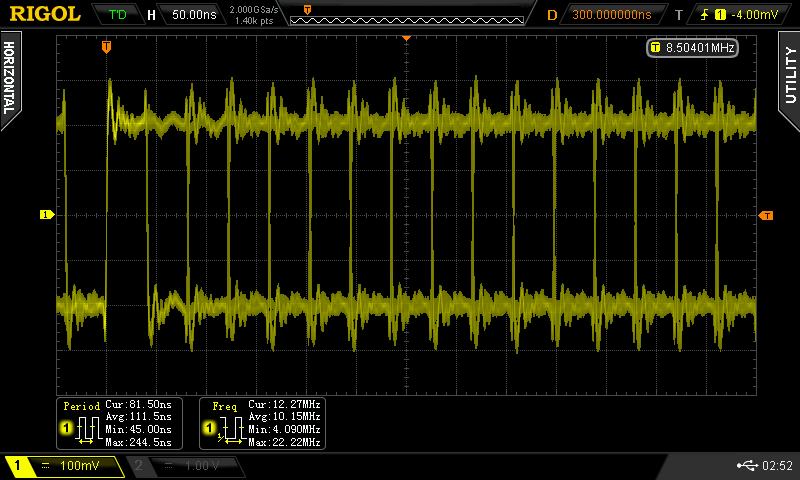 However, with the second transformer (right picture), the edges of the signal look really good. The bandwidth of the second transformer is higher. Rise time is 2.4ns. Using the general equation for the bandwidth BW = 0.35 / Tr, we can calculate the bandwidth as about 150MHz. That’s much more than needed, but that’s good for us. 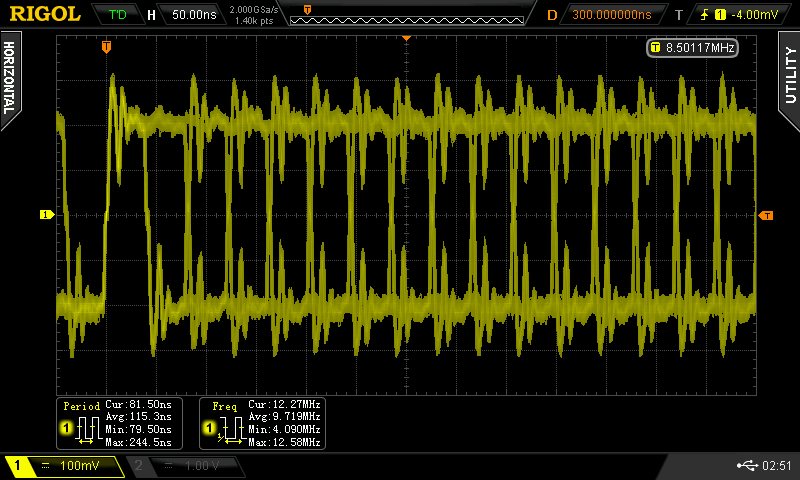 This entry was posted in Projects and tagged bandwidth, oscilloscope, S/PDIF, transformer on December 20, 2013 by Daniel.